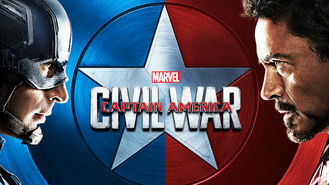 Captain America: Civil War (2016) on Netflix Taiwan. Check worldwide Netflix availability! If Captain America: Civil War isn't available in your country, or you are visiting a country where it isn't, there is still a way to watch it! It's Avengers vs. Avengers when Captain America fights to keep his superhero friends independent, while his pal Iron Man supports government control. The greatest superhero team ever has been split into two factions, and their leaders aren't giving in. This means war.